We’re back! It’s Episode 24 and we’re in with a classic! Susan Harrison and Gemma Arrowsmith from Hayley and Ruth: Two Stars choose Young Frankenstein which was the second film that director Mel Brooks released in 1974 (The first was Blazing Saddles). Young Frankenstein follows Gene Wilder’s Dr Frankenstein (Pronounced “FRONKENSTEEN”) a talented american based neurosurgeon that whats to maintain a distance between himself and his grandfather the madcap Victor Von Frankenstein. Young Frankenstein was a delight for all around the table! Kobi had never seen it before whilst the others had done but not recently. It’s a classic that still looks great and benefits from being shot on the initial set and, of course, Mel Brooks’ awesomeness and the excellent cast! Scoring 4.14 – A high score as expected! What do you guys think? Have you seen Young Frankenstein? What did you think? Please let us know in the comments below! 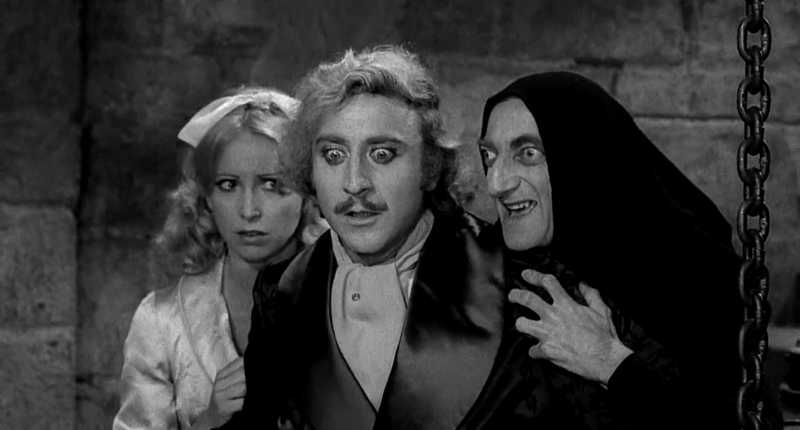 For more info on Young Frankenstein, you can visit the Young Frankenstein IMDB page here or the Young Frankenstein Rotten Tomatoes page here.